This week only 4 papers, because I am doing a review and have an all day seminar on Tuesday. Dieser Beitrag wurde unter Papers abgelegt am 6. Februar 2019 von aud. 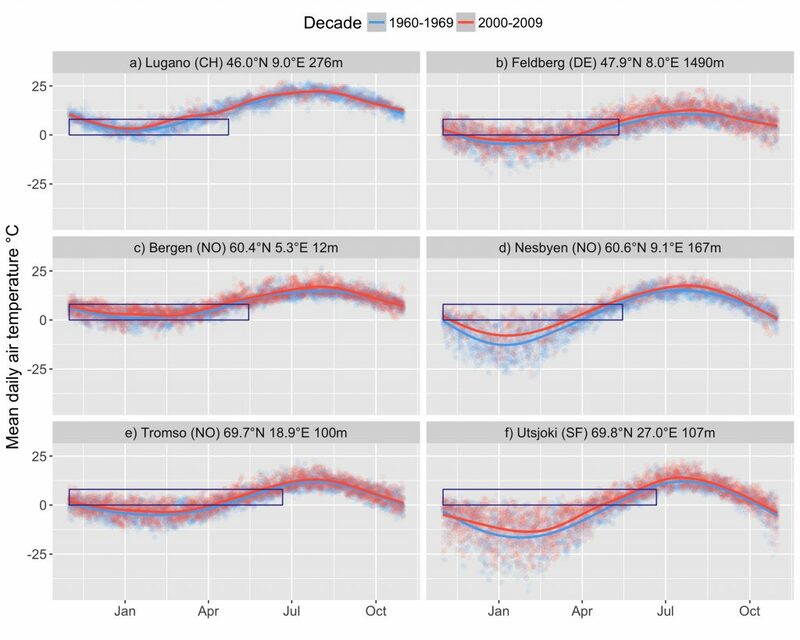 Long-term monitoring, space-for-time substitutions along gradients, and in situ temperature manipulations are common approaches to understand effects of climate change on alpine and arctic plant communities. Although general patterns emerge from studies using different approaches, there are also some inconsistencies. To provide better estimates of plant community responses to future warming across a range of environments, there have been repeated calls for integrating different approaches within single studies. Thus, to examine how different methods in climate change effect studies may ask different questions, we combined three climate warming approaches in a single study in the Hengduan Mountains of southwestern China. We monitored plant communities along an elevation gradient using the space-for-time approach, and conducted warming experiments using open top chambers (OTCs) and plant community transplantation toward warmer climates along the same gradient. 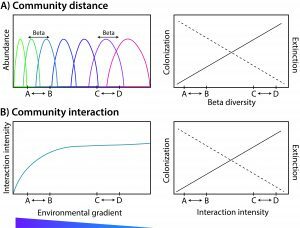 Plant species richness and abundances were monitored over 5 years addressing two questions: (1) how do plant communities respond to the different climate warming approaches? (2) how can the combined approaches improve predictions of plant community responses to climate change? The general trend across all three approaches was decreased species richness with climate warming at low elevations. 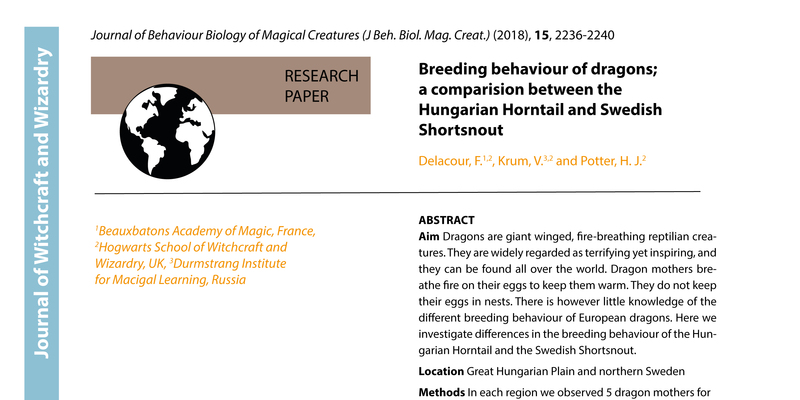 This suggests increased competition from immigrating lowland species, and/or from the species already growing inside the plots, as indicated by increased biomass, vegetation height or proportion of graminoids. At the coldest sites, species richness decreased in OTCs and along the gradient, but increased in the transplants, suggesting that plant communities in colder climates are more open to invasion from lowland species, with slow species loss. This was only detected in the transplants, showing that different approaches, may yield different results. Whereas OTCs may constrain immigration of new species, transplanted communities are rapidly exposed to new neighbors that can easily colonize the small plots. Thus, different approaches ask slightly different questions, in particular regarding indirect climate change effects, such as biotic interactions. To better understand both direct and indirect effects of climate change on plant communities, we need to combine approaches in future studies, and if novel interactions are of particular interest, transplants may be a better approach than OTCs. Dieser Beitrag wurde unter Papers abgelegt am 5. November 2018 von aud. This might not be an everyday problem, but doing this task by hand would take forever. And when finished, I would have to start all over again, because of a tiny litte change. I realized, R code is the only solution! Here is the problem: I am writing a paper with 109 authors. This is a challenging task in itself. But a couple of days ago I realized writing the author list and their affiliations, arranged by the authors last name and numbered affiliations would be a very tedious task. And as soon as it was done, one of the author would tell me about a new affiliation and another one that this affiliation was old and so on. It did not need a lot of persuasion before I opened R and started to type. Lets assume we have three authors (we keep it simple for now). We will also need to load the tidyverse library, which is not shown here. The next step is to prepare the table for what we want to do. Here you can rename columns, filter the table, rearange it etc. For this table we only want to merge the 2 columns containing the affiliations into a single column. We will use “gather” for this. The last thing we need to do is to print a list with all the names + IDs and one with all the affiliations + IDs. ##  "Delacour, F.^1,2^, Krum, V.^3,2^, Potter, H. J.^2^"
##  "^1^Beauxbatons Academy of Magic, France, ^2^Hogwarts School of Witchcraft and Wizardry, UK, ^3^Durmstrang Institute for Macigal Learning, Russia"
Here is one final trick! If this list is used in a paper, the IDs for the affiliations should be superscripts. This can of course be done manually, but again, with 109 authors… So, this is why I added the ^ before and after the numbers. If you copy the name and affiliation lists into an R markdown file and run it (or produce them directly in an R markdown file), the numbers will become superscript. Thank you Richard Telford for helping with this code and generally stimulating conversations about coding. Dieser Beitrag wurde unter Papers, R code abgelegt am 4. August 2018 von aud. In climate change ecology, simplistic research approaches may yield unrealistically simplistic answers to often more complicated problems. In particular, the complexity of vegetation responses to global climate change begs a better understanding of the impacts of concomitant changes in several climatic drivers, how these impacts vary across different climatic contexts, and of the demographic processes underlying population changes. Using a replicated, factorial, whole‐community transplant experiment, we investigated regional variation in demographic responses of plant populations to increased temperature and/or precipitation. Across four perennial forb species and 12 sites, we found strong responses to both temperature and precipitation change. Changes in population growth rates were mainly due to changes in survival and clonality. In three of the four study species, the combined increase in temperature and precipitation reflected nonadditive, antagonistic interactions of the single climatic changes for population growth rate and survival, while the interactions were additive and synergistic for clonality. This disparity affects the persistence of genotypes, but also suggests that the mechanisms behind the responses of the vital rates differ. 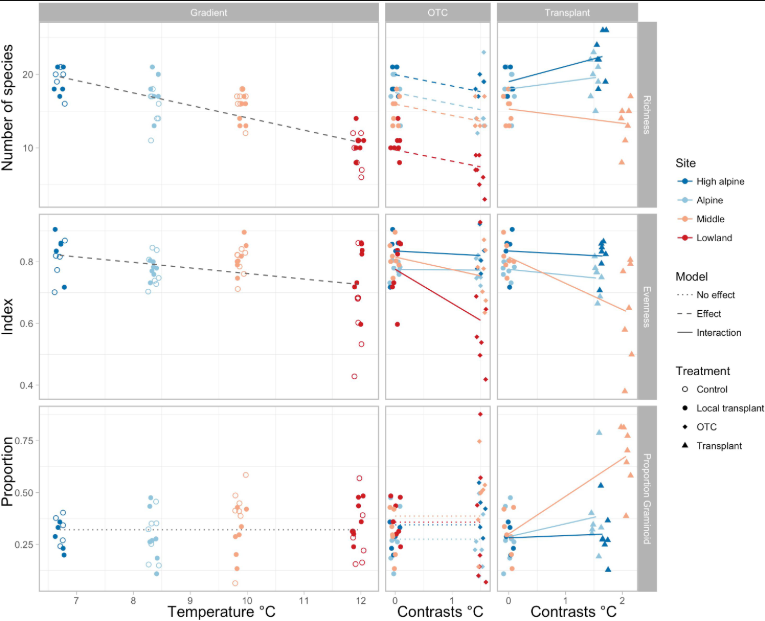 In addition, survival effects varied systematically with climatic context, with wetter and warmer + wetter transplants showing less positive or more negative responses at warmer sites. The detailed demographic approach yields important mechanistic insights into how concomitant changes in temperature and precipitation affect plants, which makes our results generalizable beyond the four study species. Our comprehensive study design illustrates the power of replicated field experiments in disentangling the complex relationships and patterns that govern climate change impacts across real‐world species and landscapes. Dieser Beitrag wurde unter Papers abgelegt am 24. Juni 2018 von aud. My new paper on trait differentiation and adaptation along elevational gradients is out. And my picture is on the title page! Studies of genetic adaptation in plant populations along elevation gradients in mountains have a long history, but there has until now been neither a synthesis of how frequently plant populations exhibit adaptation to elevation nor an evaluation of how consistent underlying trait differences across species are. We reviewed studies of adaptation along elevation gradients (i) from a meta‐analysis of phenotypic differentiation of three traits (height, biomass and phenology) from plants growing in 70 common garden experiments; (ii) by testing elevation adaptation using three fitness proxies (survival, reproductive output and biomass) from 14 reciprocal transplant experiments; (iii) by qualitatively assessing information at the molecular level, from 10 genomewide surveys and candidate gene approaches. We found that plants originating from high elevations were generally shorter and produced less biomass, but phenology did not vary consistently. We found significant evidence for elevation adaptation in terms of survival and biomass, but not for reproductive output. Variation in phenotypic and fitness responses to elevation across species was not related to life history traits or to environmental conditions. Molecular studies, which have focussed mainly on loci related to plant physiology and phenology, also provide evidence for adaptation along elevation gradients. Together, these studies indicate that genetically based trait differentiation and adaptation to elevation are widespread in plants. We conclude that a better understanding of the mechanisms underlying adaptation, not only to elevation but also to environmental change, will require more studies combining the ecological and molecular approaches. Dieser Beitrag wurde unter Papers abgelegt am 6. Juni 2018 von aud. A colleague has published an article on how biology students learn on field excursions. In addition, to study and learn about nature, these students were themselves being observed by Torstein Nielsen Hole, currently a PhD candidate at bioceed, university of Bergen. For this study he joined a field course on Svalbard. It’s interesting to read about how biologists discuss their work in the field. And the article covers all from bare soil, death and guns (protection from polar). Dieser Beitrag wurde unter Papers abgelegt am 1. Juni 2018 von aud. 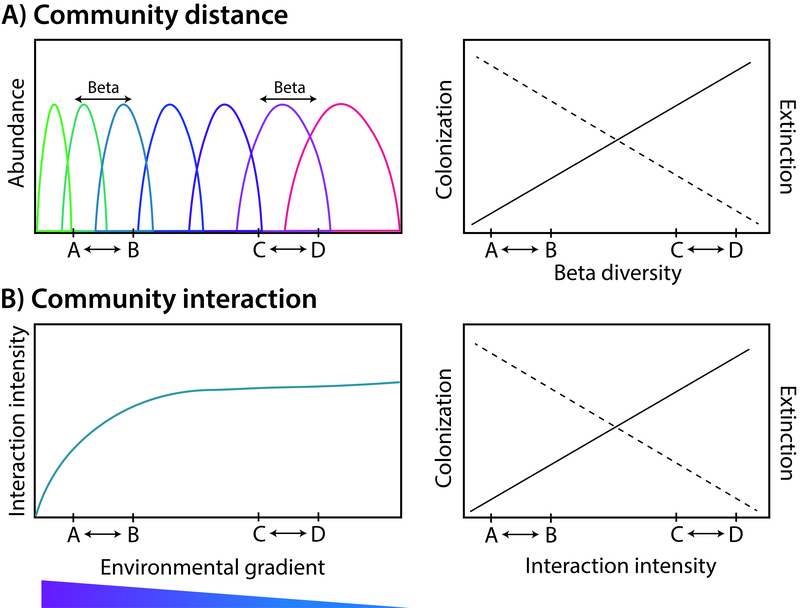 New review on trait differentiation and adaptation of plants along elevation gradients. Dieser Beitrag wurde unter Papers abgelegt am 20. April 2018 von aud. Our recent comment in PNAS on phenology, Hopkins bioclimatic law and art. Dieser Beitrag wurde unter Papers abgelegt am 19. 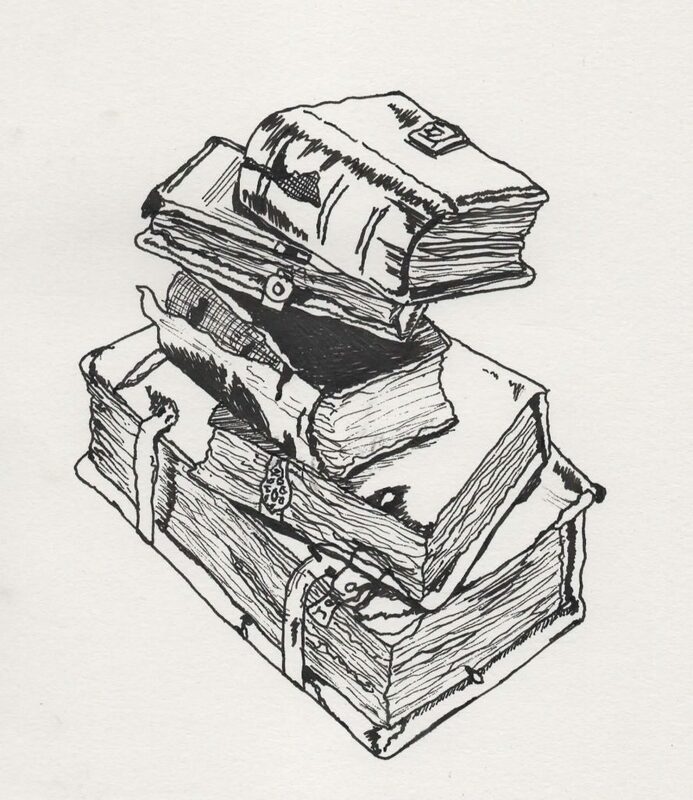 April 2018 von aud. Our new article on plastic and genetic responses to shifts in snowmelt time in Ranunculus acris has just been accepted in PPEES. I will present the study at the ESA in Portland in August. Changes in both temperature and precipitation will affect snowmelt time at high elevation, thereby influencing plant reproduction and growth. Species can respond to changed climate with phenotypic plasticity or genetic adaptation, and these responses might vary at different levels of advanced and delayed snowmelt time. Here we mimicked future climate change projections for western Norway by transplanting individuals of Ranunculus acris towards warmer, wetter and warmer & wetter climates. And we replicated the experiment along regional-scale temperature and precipitation gradients. This setup resulted in both advanced (warmer and warmer & wetter transplants) and delayed (wetter transplants) snowmelt in the experimental sites. We recorded phenological development and growth over one growing season. 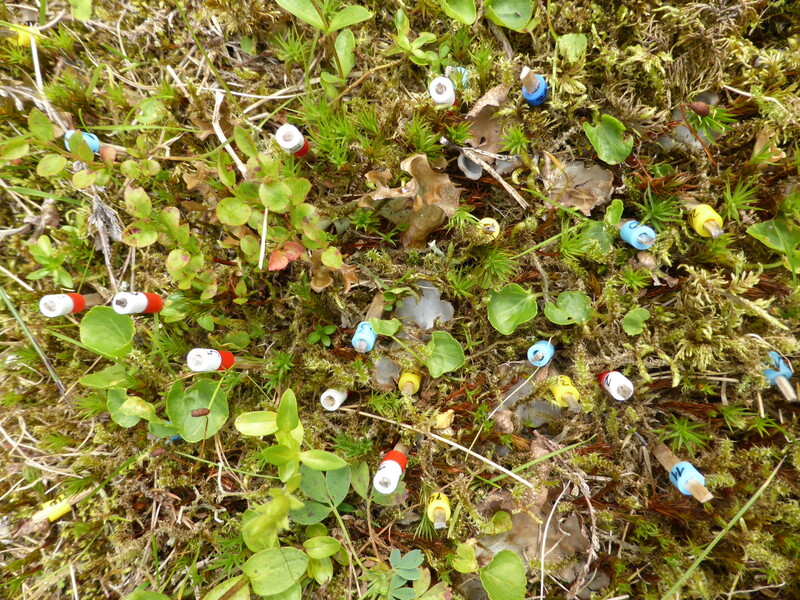 The reproductive phenology of the transplanted R. acris individuals was affected by both phenotypic plasticity and genetic differences between populations of different origins, while growth showed only plastic responses. Plants expressed high plasticity to both advanced and delayed snowmelt time by acceleration of the onset of buds, flowers and fruits. Only the plants from wet and high-elevation sites showed a small response to advanced SMT. The late snowmelt time these populations experience could potentially cause high selection pressure leading to more constrains in plasticity. 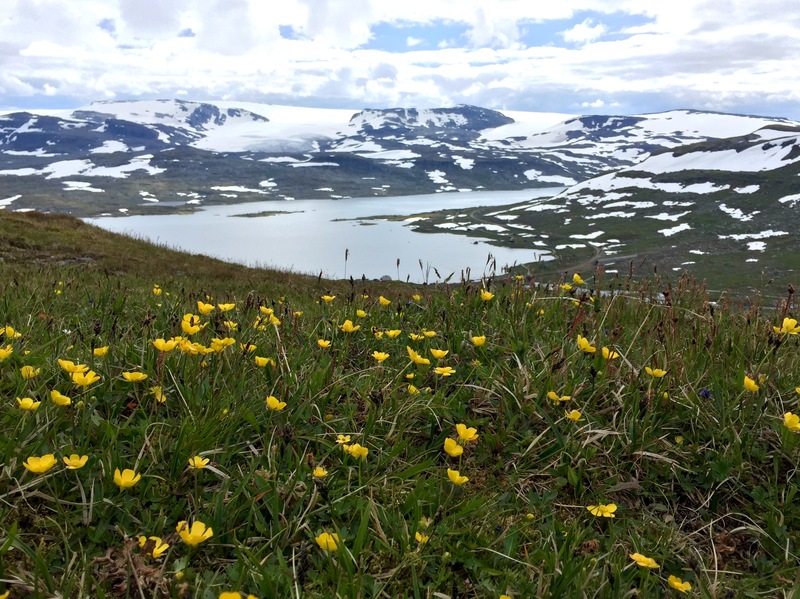 When grown under common conditions, plants from late snowmelt sites responded with earlier onset of phenological development, suggesting that the timing of snowmelt exerts strong selection on reproduction. To project species fates under future climate we need to consider the interplay between genetic adaptation and plastic responses under different climate contexts, especially towards the species range limits. Plasticity and genetic difference in growth (top) as the difference in leaf size +/- 2SE in cm (top) and first flowering in days after snowmelt timing (SMT; bottom) between treatment and origin-control (left) or destination-control (right) plants. 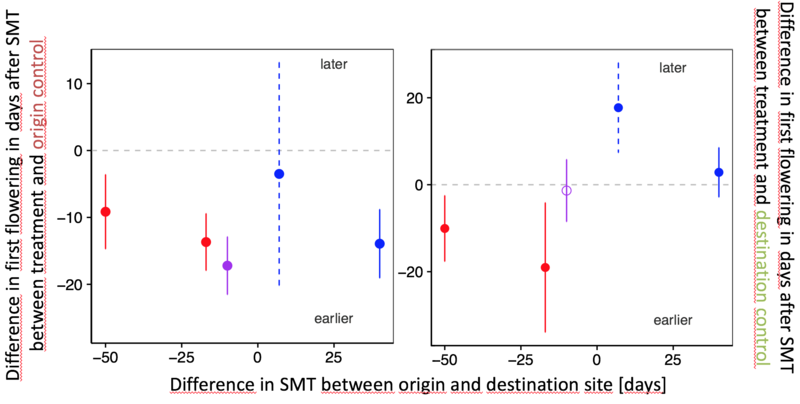 The x-axis represents the difference in SMT between origin and destination site. The colours indicate the transplant treatments to: warmer (red), wetter (blue) and warmer & wetter (purple) climate. Points above/below the dashed grey line indicate larger/smaller leaf size or earlier/later days since SMT for first flowering in the transplanted plants compared to the origin-control (left) or destination-control (right) plants. Closed circles indicate a significant difference between treatment and destination-control plants and open circles no significant difference. Dashed error bars indicate a sample size lower than 6 individuals. Delnevo, N., Petraglia, A., Carbognani, M., Vandvik, V. and Halbritter, A.H. (accepted). Plastic and genetic responses to shifts in snowmelt time affects the reproductive phenology and growth of Ranunculus acris. PPEES. Dieser Beitrag wurde unter Papers, Phenology abgelegt am 26. Juli 2017 von aud.